The Arlington County Board approved $23 million in incentives for Amazon to build a huge complex in Crystal City at the end of a meeting that was interrupted by raucous protesters who shouted “shame” and voiced their opposition to the tech giant’s second headquarters. The 5-0 vote, which reportedly came after six hours of testimony, was the last step in awarding state and local subsidies to the online retail giant for its plan to create 25,000 jobs over 12 years in Northern Virginia. The Virginia General Assembly had already approved a separate package of state incentives worth $750 million over 15 years in January. 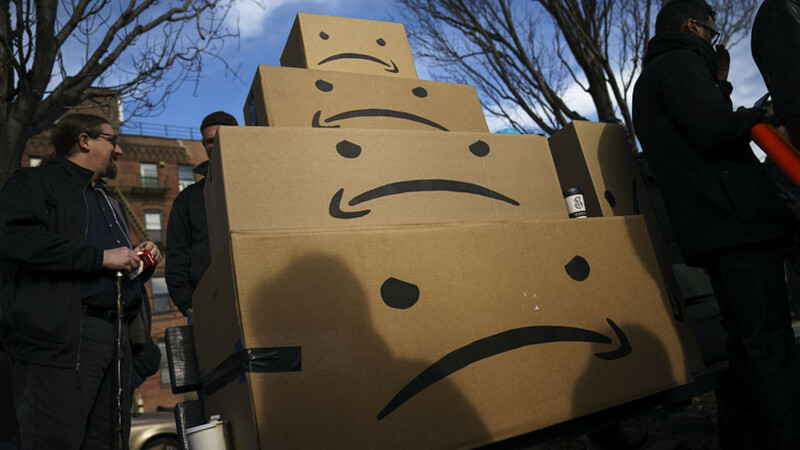 Amazon faced a major backlash to its efforts in New York that was led by liberal groups, unions and some lawmakers, including Democratic Rep. Alexandria Ocasio-Cortez, with the Seattle company eventually deciding to pull the plug on its New York headquarters. However, although activists and some community members did push back against the tech giant, it did not face the same level of vocal opposition in Arlington County. The Post reports that despite the board’s support, liberal groups and immigrants’ rights organizations continued to catcall and interrupt when Amazon executives were testifying after the public hearing, which led eventually to a 15-minute recess. When the board returned, the executives were absent. However, the newspaper reports that June O’Connell, a 30-year resident, said Amazon’s presence would ensure that Arlington would get state money for transportation improvements and other public investments. Protesters carried placards reading “Affordable housing 1st, not Amazon” and “Don’t be the opposite of Robin Hood,” the Post reports. Officials from the local chapter of the NAACP and the regional AFL-CIO reportedly decried the tech giant’s unwillingness to sign a labor agreement for the project to guarantee wage and benefit safeguards. According to the Washington publication, which is owned by Amazon founder and CEO Jeff Bezos, the project’s net fiscal impact on Arlington could be worth an estimated $162 million of additional revenue over 12 years and $392.5 million over 16 years.